Cost is a paramount concern for people considering pursuing a medical malpractice lawsuit. 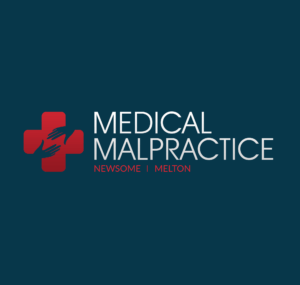 The largest costs for medical malpractice lawsuits are usually fees for lawyers, expert witnesses, and court services. Of those costs, the largest one is usually lawyer fees. However, plaintiffs can often end up paying more themselves if they pursue a medical malpractice suit on their own than with the help of a lawyer. Before initiating the complex process of a medical malpractice case with or without a lawyer, people need to be aware of all the costs involved. Many times lawyers do not charge upfront fees to pursue a medical malpractice case. Instead, they charge what is called a contingency fee. Under this payment arrangement, lawyers are not paid unless they win the case in court or arrange a monetary settlement. If return, the lawyers receive a portion of their client’s award. The most common contingent fee is 33% of the plaintiff’s award. The percentage can vary, though, and some states have laws that limit a lawyer’s contingency fee in medical malpractice cases. In some instances, lawyers will ask to be paid a higher contingency fee if the case goes to trial rather than being settled beforehand. Other costs to consider when filing a medical malpractice lawsuit are fees for court filings and for getting copies of medical records. Courts usually charge anywhere from $100 to $500 simply to file the lawsuit in the first place. Fees that doctors, hospitals, and other medical practices charge for copying medical records depend on how long the records are. Expert witness fees are often the second largest expense incurred by pursuing a medical malpractice case. How much expert witnesses cost varies depending on their level of expertise and how much work they must do, but they commonly charge thousands of dollars for their services. For a single case, an expert witness can spend up to 20 or 30 hours reviewing documents, giving testimonies at pre-trial depositions and the trial itself, and traveling for the case. However, the value that expert witnesses bring to medical malpractice cases generally justifies their cost. It is incredibly difficult to prove medical malpractice without an expert who is willing to testify under oath that a medical provider gave negligent care that did not meet accepted industry standards. When plaintiffs choose to go it alone in a medical malpractice case, they will not have to split any awards with a lawyer, but they will have to bear all the other expenses of the case by themselves. When counting the cost of going solo, plaintiffs should also figure in the hours they will spend learning about medical law, reviewing their own medical records, and crafting a legal strategy to win the lawsuit. On the other hand, lawyers engaged in a medical malpractice case often cover these upfront fees themselves. The attorneys are then compensated from the contingent fee if they win the lawsuit.